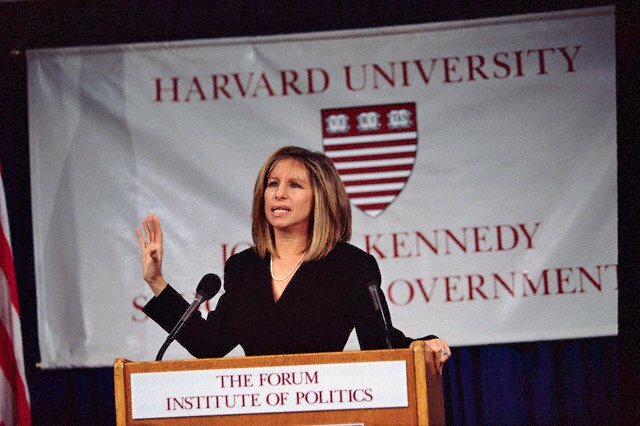 Cancelled: Barbra On Piers Morgan Tonight. Due to the senseless and tragic shooting at Sandy Hook Elementary School in Connecticut this morning, Barbra’s interview with Piers Morgan will NOT be airing this evening as originally planned. We will alert you for when the interview is rescheduled to air. Barbra on “Piers Morgan Tonight” This Friday. Beginning today, Paramount Pictures initiates a four-day primetime exposure on the ABC television network for its upcoming feature release “The Guilt Trip” starring Barbra Streisand and Seth Rogen. BARBRA STREISAND AND SETH ROGEN TAKE “THE GUILT TRIP” TO 20 CITIES. THE HOLIDAY FILM FROM PARAMOUNT WILL SCREEN EXCLUSIVELY AT AMC THEATRES ON DECEMBER 2ND IN SELECT MARKETS, FOLLOWED BY A LIVE STREAMING Q&A WITH THE FILM’S STARS. New Auction: Meet Barbra at The Guilt Trip Movie Premiere! Meet Barbra Streisand and Receive 2 Tickets to the Premiere of The Guilt Trip Including Hotel in LA. Meet the incomparable Barbra Streisand when you and a guest attend the premiere of her newest film, The Guilt Trip in Los Angeles. You will also be treated to a one night at The Sofitel Hotel. Barbra’s Comment on Re-Election of Barack Obama. WASHINGTON, DC—The National Jewish Democratic Council (NJDC) released a video today featuring renowned actress and singer Barbra Streisand stating her proud support for President Barack Obama. Streisand has been a longtime supporter of the President and felt it essential to lend her voice during these crucial final days of the 2012 campaign. The summer of 1983 was blistering hot in New England. A record heat wave saw temperatures soar toward the 100-degree mark from June well into September. July had been the hottest month ever recorded at Boston’s Logan Airport.